Since my hometown is on the West Coast of the United States and my husband's hometown is in England, we knew when we got married that we would be flying across the world many times in our lifetime to spend time with our families. We have never let the challenges of flying for over 10 hours with children stop us from flying with our children when they were little. My daughter's first flight was at 10 months old and son's first flight at 9 months old. We are very lucky that our children love the excitement of flying in an airplane. Although they have several stamps in their passports, we never had the opportunity to take them on sunny European holiday. "We are going on Superhero Missions"
I love reading about my fellow bloggers' holiday adventures with Mark Warner Holidays that involve snow skiing or warm beaches, fruity drinks by the pool, and creating holiday magic for their children. 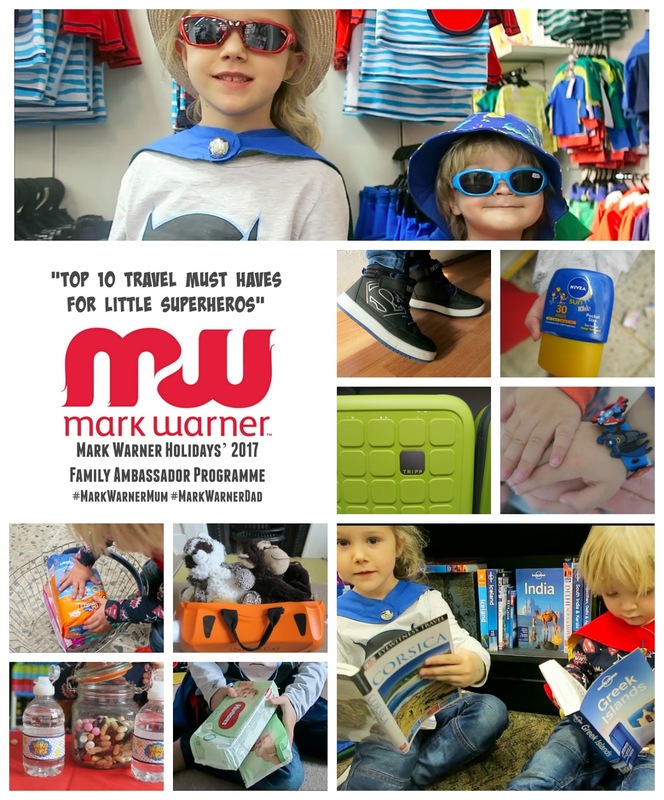 Mark Warner announced their 2017 Mark Warner Holidays' Family Ambassador Programme last week and I instantly knew that we were ready to demonstrate why we would be perfect as a #MarkWarnerMum. They have asked for bloggers to share their "Top 10 Travel Must Haves" this year. Since this will be a family travel adventure, we decided to make it a team effort and the idea of creating a "superhero" theme video was approved by my daughter. It was a perfect theme because parents definitely need some "superhero skills" while travelling with children. Dad needs "super strength" to quickly load the airport shuttle with numerous bags while Mum holds tightly to little hands and try not to lose any carry-ons. Being able to move as quickly as the "Flash" when small sandy hands almost knock-over your fruit cocktail by the poolside is very important. "Super eyesight" is helpful when trying to find beautiful small seashells or rocks on the beach to take home as treasured souvenirs. Due to my daughter's obsession with being a superhero, we have created a list of "Top 10 Travel Must Have for Little Superheroes" that are needed when travelling abroad to a sun destination. Please watch the below video introducing "Super Girl" and "Super Boy". 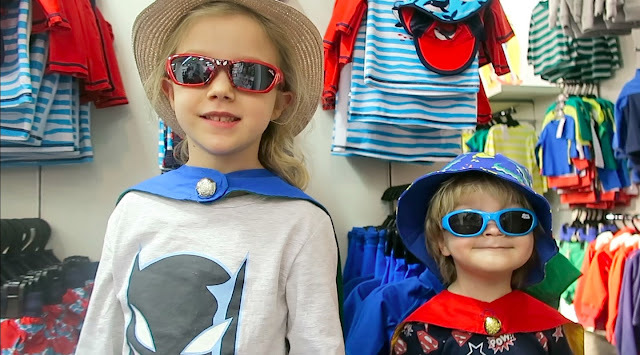 We hope you enjoyed our Superhero Mission video but now a little more information about why we choosen these "10 Travel Must Have Items" for travelling with children. FAST SHOES: It is very important that we have comfortable shoes for travelling. We love to explore and walk miles on our holidays. These pairs of shoes could be trainers for dashing around a local market or sandals for the beach. Children's feet are constantly growing so I look forward to creating some "wish lists" for future holiday travel in the next couple months. BIG STRONG SUITCASE: My husband will gladly tell you that we have too many suitcases in storage. My suitcases must be durable to handle being packed to the maximum weight limit and not get damaged while being tossed under the airplane. I love swivel wheels that allow the suitcase to move along side you instead of being dragged behind you. I am normally dragging a child through the airport so I don't need suitcase that is difficult to pull along also. A handheld luggage scale has also saved me many times from emergency re-packing at the check-in desk. 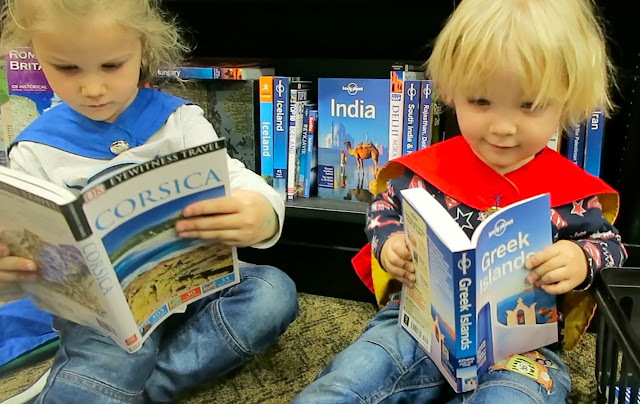 TRAVEL BOOKS: I get really excited about purchasing new travel books about countries that I have not been to before. You can do tons of research online but it really exciting to be able to read about your holiday destination on the plane during take-off when electronics need to be turned-off. Also fun to write advice in your travel book from local people during your holiday. My children also love looking at all the pictures. BOTTOM COVERS (aka Nappies): Super Boy is not potty trained yet so very necessary. One of my top tips for travelling with babies or toddlers is to create several sealable bags filled with a nappy, wipes, nappy plastic sack, and change of undershirt for quick nappy changes on the airplane. These pre-packed nappy kits saved me on several occasions the first time I travelled with my daughter to the USA. Let's just say that she had a very active bottom and needed multiple nappies. SUNGLASSES and SUN HATS: I think a sunburn on holiday is the worst thing that can happen. I spent several years working as lifeguard at an outdoor pool and witnessed first-hand how quickly someone can burn the top of their head. My daughter loves wearing sunglasses and they are important to protect her eyesight from the evil UV rays. Putting on a pair of stylish sunglasses always makes me feel excited for new adventures and always fits even if you gain a few pounds over the winter months. SUNSCREEN: When I went on family holidays in childhood, we would head to the pool just after breakfast and normally not leave the poolside or beach until lunchtime. Maybe a quick rest inside but then back outside for more seashell hunting or swimming. Many hours in the sun requires lots of sunscreen to protect children's precious skin from sunburns. My children love their sunscreen (or suncream) sticks and often can find them applying sunscreen for imaginary travel trips during the winter months. I guess you can never have to much sunscreen in our life. FURRY SIDEKICKS: Travailing to new places when you are young is very exciting but also a little scary. You are sleeping in a different bed and there is lots of new sounds and smells. As a superhero, you definitely need your fuzzy sidekicks to provide a little piece of home. When my children were babies, I always packed the bedding from their bed so while sleeping they were comforted from the smell of "home". We do have many funny stories of my sister and I sneaking more than the limit of fuzzy friends on our trips to the beach house when I was younger. Make sure to always double-check under the bed before checking out of our hotel room. Don't leave anyone behind! BABY WIPES: I can not believe that I lived without baby wipes before motherhood. They are honestly are in constant use in my home and when on holiday. My children can make a mess in a matter of seconds of entering a room. When travelling, they have a multiple of uses including remove sunscreen from eye, cleaning out sand between toes, and cleaning up spilled drinks. Please do not spill my piña colada cocktail! 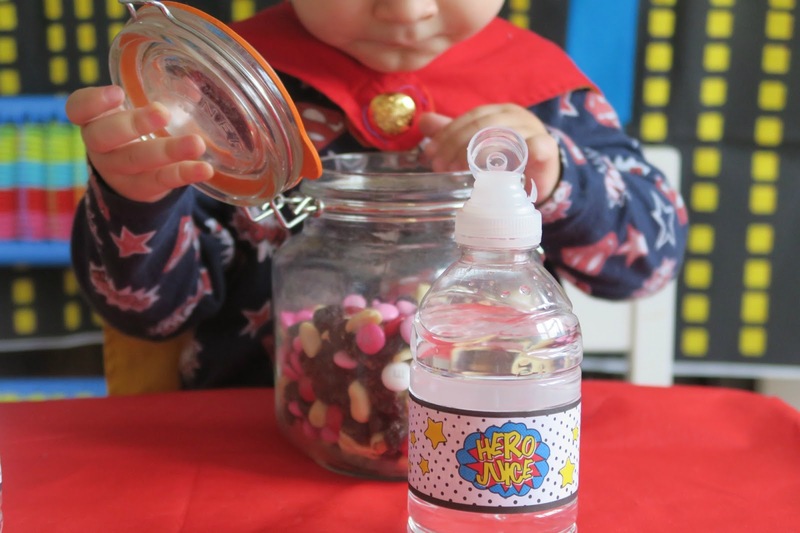 SNACK MIX and HERO JUICE: There is many different mixture of snack mix you can make. My favourite version is featured in the video is peanuts, raisins and M&Ms but you could add dried tropical fruit or local nuts. My worst nightmare is having a grumpy hungry child on holiday while trying to enjoy the fact your are thousand of miles from our home filled with mountains of toys. Give them a handful of snack mix and restore the peace. We try not to forget to drink lots of water especially when swimming. We don't feel sweaty while swimming but it requires lots of energy and children can get dehydrated quickly. FAMILY: All the 9 items above are my family's "must haves" for travelling but the most important "must have" is being together as a family. Lots of my favourite childhood memories are spending time on holiday (aka vacation) with my parents and siblings. Majority of our holidays focused on being around the swimming pool and learning to swim from my father. He focused on teaching us water safety. 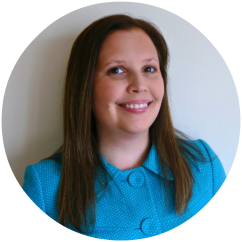 I would love the opportunity to pass on these lessons to my children while on holiday and share with other parents as a blogger ambassador for Mark Warner. In the last few years as blogger and vlogger, I have fallen in love with taking photos and videos. I love sneaking up on my children with my camera to capture those candid moments of childhood. When I am not focusing the camera on my family, I am often photographing interior decor or the small details of my surroundings. So many beautiful colours and textures inside and outside to discover while exploring a new place in the world. My heart feels with happiness when I think about giving my children the opportunity to experience a Mark Warner holiday in new destination away from the daily life of England. My daughter and son are the perfect ages to appreciate the opportunity to explore new sights, sounds, tastes, and smells. I feel my superhero team would make fabulous members of the #MarkWarnerMum blogging team this year. Check out my #MarkWarnerMum Pinterest Board for Travel Inspiration. Time to create your own #MWMoments. Thank you to Mark Warner for hosting this annual blogger Family Ambassador Programme. If you would like to submit an entry the deadline is March 1, 2017 at 23.59 GMT. Good luck my fellow bloggers and the Mark Warner Team whom have the difficult task of choosing 5 lucky bloggers this year. If you enjoyed this blog post and video, please share on social media or comment below. As a special thank you to my blog readers, I am hosting a giveaway for three (3) superhero capes. 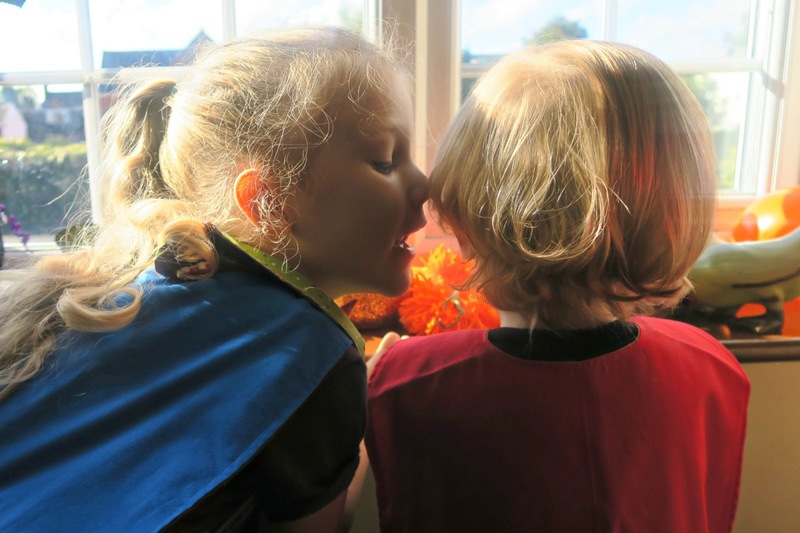 We would love to share our children's love of being superheroes with your family. Giveaway ends Sunday, March 5th, 2017. INFORMATION ABOUT THE CAPES: Super Girl has many capes to wear while chasing her brother around the house. 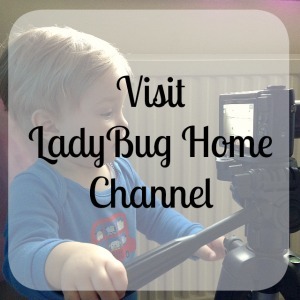 You never know when you visit our home if you will meet Batman, Captain America, Spiderman, Flash or maybe Ladybug Girl. The capes featured in the above video were made by my mother (aka Grandma). The colours were chosen by Super Girl because her favourite colours are blue & green and she believes that her brother loves red & yellow. The gold buttons were chosen by Papa. If chosen as 2017 Family Ambassadors, I am share that Super Girl will pack her capes collection and would be soon recruiting other children on holiday into her Justice League. Thank you so much! Good luck too! Thank you Emily! I loving your entry. Good luck! They are truly an universal product. Thank you for commenting! Baby wipes are useful for so many tasks :- sticky hands and faces cleaned, spills etc, etc. Holidays are nice. I did do some travelling several years ago. Now I wish I had managed to see more of the world. So your children may have great opportunities if you manage to become an Ambassador. Best Wishes! Thank you so much for your best wishes! Definitely wish I had done some more travel pre-children. I look forward to traveling with children in the near future! Thank you for visiting my blog. Thank you for commenting. I am sure there are tons of other "must' haves for traveling. great post, I wish you and your little superheroes the best of luck in the competition. Thank you Anne for your kind words. I am sure my superheroes would be super excited but lots of amazing entries. Your son looked so cute for World Book Day. Thank you so much Caroline! Good luck to you too! Baby wet wipes are a "must have" for daily life around our house. Thank you for visiting my blog! A little snack can make children and Mommy & Daddy a lot more cheerful while on holiday. Thank you for visiting my blog! Thank you so much Hannah for your support and kind words. We enjoyed making the video. Good luck to you too! This is so good, fab post! Thank you! Wishing you and your sweet daughter "good luck" too! I am excited to hear whom has been selected soon. Absolutely love the capes. My travel must is a treat box to be pulled out when needed. A treat box is a great idea. Love little surprises when traveling. Happy you loved the capes. Thank you for commenting! This is such a lovely blog post! My daughter loves being a super hero too. Good luck. There is something really magical about play superheroes. Good luck to you! love your superhero theme! Yes those babywipes are a must!!! Glad you enjoyed our superhero theme. Baby wipes are needed everyday around our home. Thank you for visiting my blog!